Place spring mix on platter. Top with mangoes, avocado and jicama. In blender, place Lime Cilantro Dressing ingredients. Cover; blend on high speed. Drizzle over salad. Substitute orange juice for the lime juice. For a dinner party, place dressing in a dressing serving bowl. 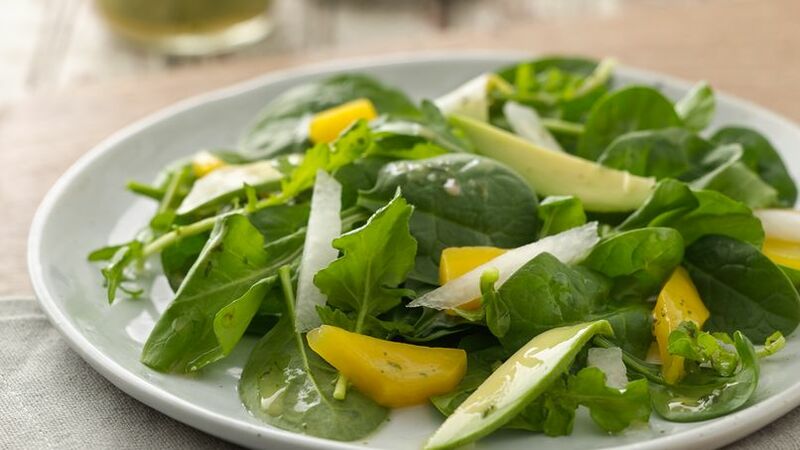 Try this delicious spring salad with mangoes, avocado, jicama and served with a cilantro lime dressing.